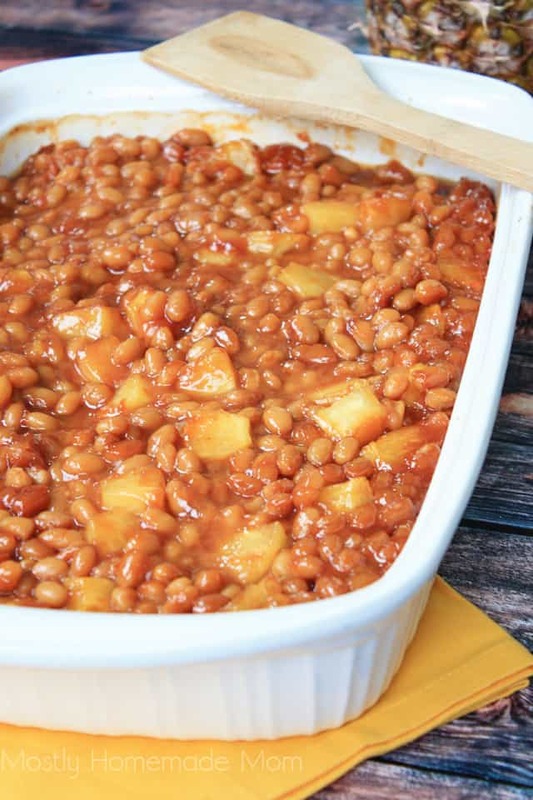 These Sweet Pineapple Baked Beans are the perfect side dish! 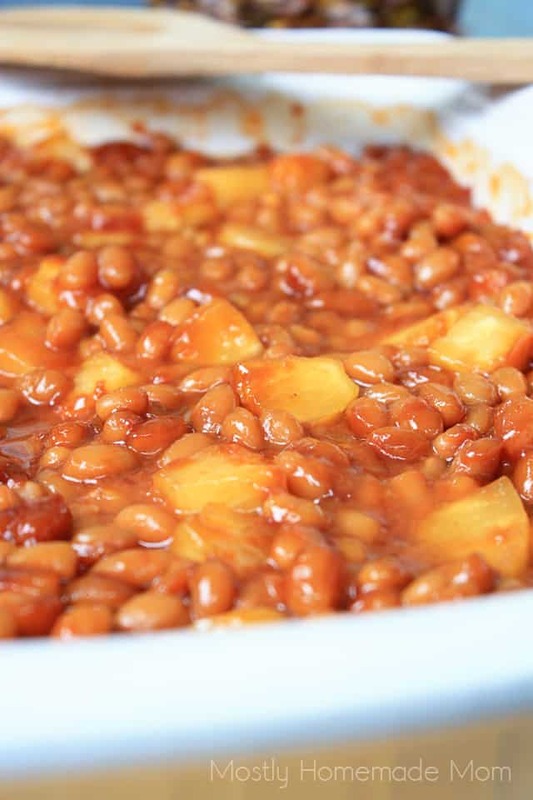 Beans with pineapple chunks, pineapple juice, and brown sugar – great for potlucks and BBQs! This is the time of the year when we do a lot of grilling in this family. And by a lot of grilling, I mean A HECK OF A LOT. Dinner time with 3 kids who are all hungry is a recipe for melt-down time. I absolutely love having fresh chicken or beef marinating in the fridge to just hand over to Paul to cook up on the grill. While the main dish is covered with him grilling, the side dishes are up to me and for some reason that’s the part that usually stresses me out! Lately we’ve been doing a lot of grilled corn since it’s been on sale lately around here, and we’ve also done a few nights of grilled asparagus. Some sweet members of our congregation gifted us some fresh asparagus from their garden and it was absolutely fabulous on the grill – and I’m one that’s not a huge asparagus fan. 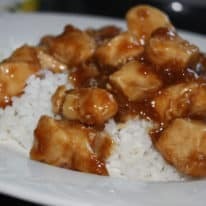 Our schedules are crazy right now though, and while I pick up at least two or three servings of fresh veggie side dishes for us each week, any more than that sometimes just gets wasted because it goes bad before we can cook it. Just the reality in this house! 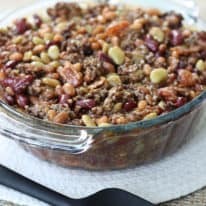 So I really like to have side dish ideas that are easy to pull together and use shelf-stable ingredients to always have on hand. 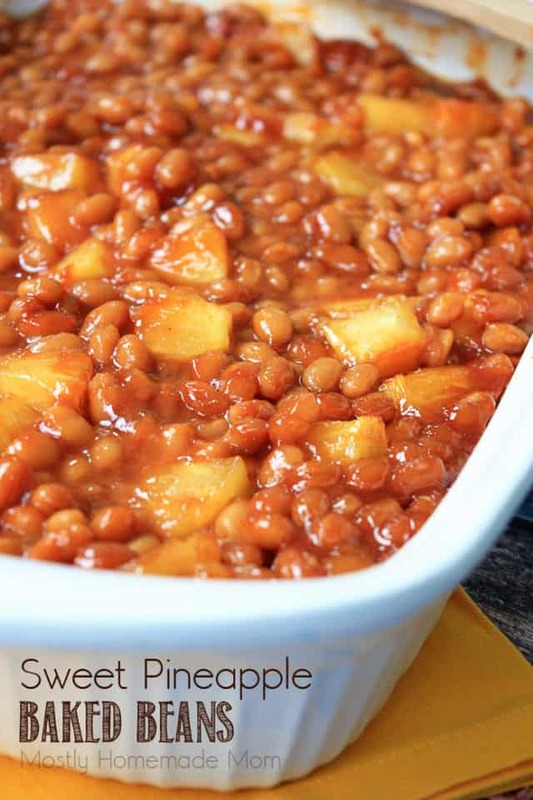 This recipe for Sweet Pineapple Baked Beans is just that! I really love the tropical twist the pineapple gives these beans. Adjust the sweetness to your liking as well – you really can’t go wrong with this recipe! 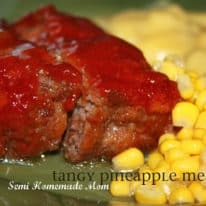 A side dish recipe for baked beans with ketchup, mustard, brown sugar, pineapple juice, and pineapple chunks. In a large mixing bowl, whisk together first 4 ingredients. Gently stir in pineapple chunks and beans. Pour into a 9 x 13 casserole dish. Bake a 350 degrees for 1 1/2 hours. Allow to cool slightly before serving. It really can’t get easier than this recipe – just a bit of forethought to give it some time in the oven. I haven’t tried it yet, but I’m sure sticking this in the crockpot would work just as well. If you do this, let me know how it turns out! Happy grilling, friends!